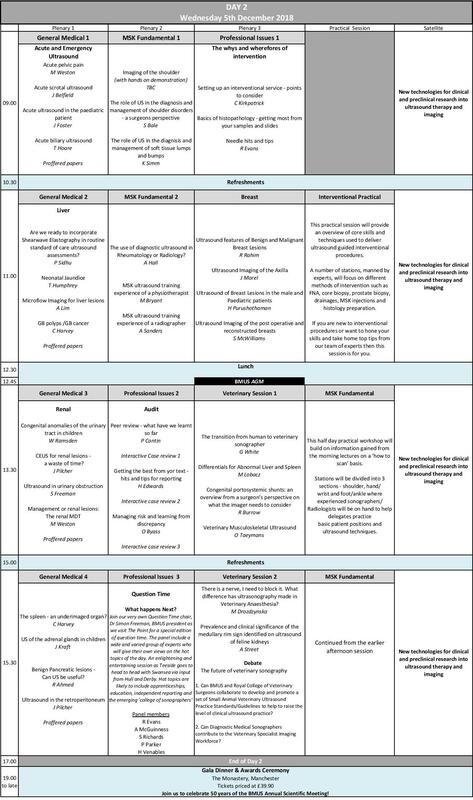 The three day scientific programme offers great variety and interest for all delegates and has major streams running on a daily basis to suit practitioners from all fields. 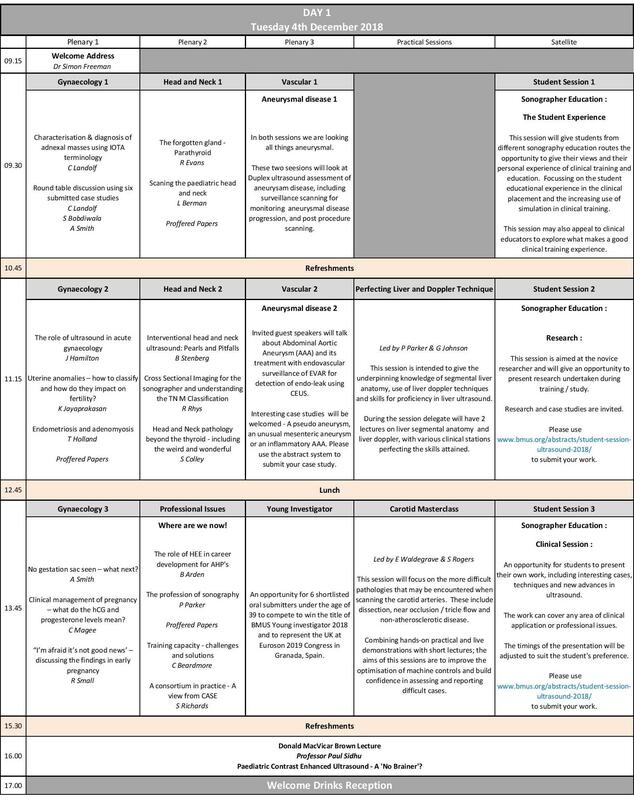 To complement the three main scientific streams, we have a number of Masterclasses, Integrated Training & Practical Sessions which will be of interest to delegates aiming to add to their practical training. Spaces in these sessions are strictly limited and should be booked at the the point of registration. For 2018 we are delighted to have two satellite meetings running alongside the main programme, delegates attending Ultrasound 2018 on the respective dates are able to attend these meetings free of charge. 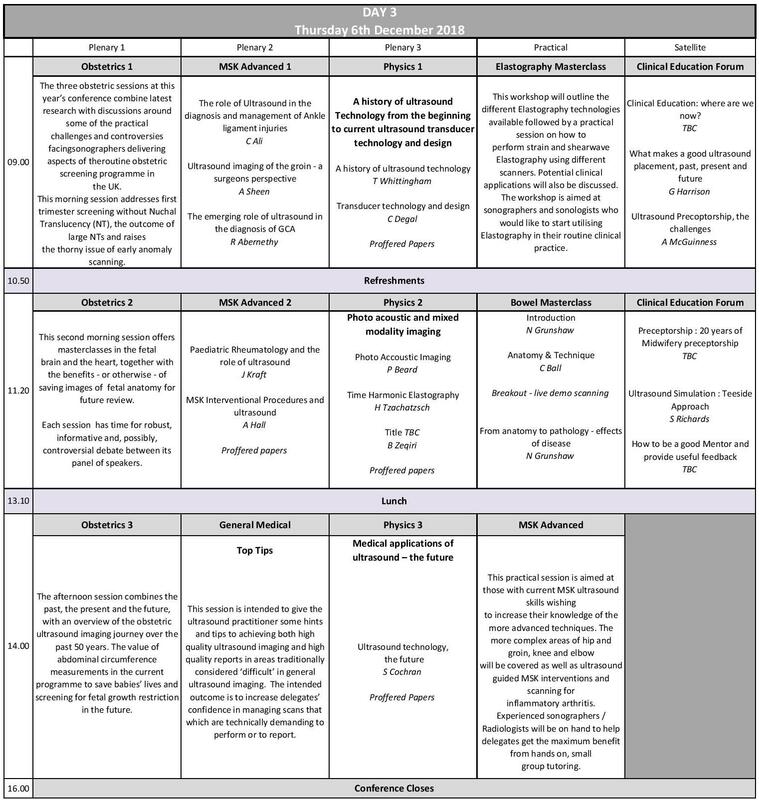 To view the outline programme in greater detail please click on each day below. Please note that this is a preliminary programme and not the Final Programme.